In the ongoing assembly elections in Manipur BJP claims to win 30 to 35 of the general seats and 10 to 12 of the seats reserved for the Schedule Tribes. 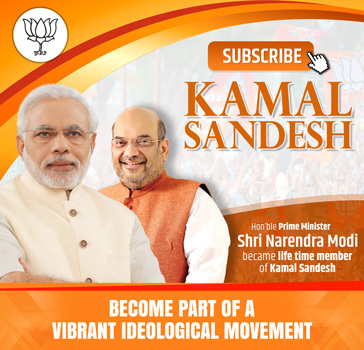 The party claim that the people of Manipur want a change, and the BJP is their only choice. Manipur has 60 assembly seats. Besides the BJP and the Congress there are two recognized State parties viz., Naga People’s Front (NPF) and the People’s Democratic Alliance (PDA). At present the BJP has only one MLA in the assembly. Anti-incumbency and continuous unrest in state is working against ruling congress party. In the last election the BJP could not perform in the state. 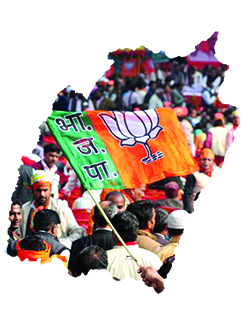 In the by-election on two seats riding high on anti-incumbency BJP snatched both seats from the ruling Congress. Among the Assembly Constituencies (AC), by area, the smallest are 12-Keisamthong & 13-Singjamei AC, 2 sq. kms each and the largest one is 43-Phungyar (ST) AC, 23.8 sq. kms. By size of the Electorate, the smallest is 55-Tipaimukh (ST) AC with 17749 electors and the largest being 48-Mao (ST) AC with 53557 electors. Further, all the 60 ACs in respect of Manipur have less than 1 lakh voters in the electorate. Manipur Assembly election will be held in two phases—4 and 8 March to elect 60 MLAs as the term of current House ends on 18 March 2017. In the last election held in 2012, the Congress won 42 seats and incumbent Chief Minister Okram Ibobi Singh was re-elected. In 2014, Manipur State Congress Party (MSCP) with its five MLAs joined ruling Congress. Manipur has been facing economic blockade by United Naga Council (UNC).They have blocked NH 2 and NH 37 to denounce creation of 7 new districts from areas dominated by Nagas in Manipur. Regular strikes, hartals and threat of terrorists and frequent economic blockades have gripped the hilly state from 1980. Union home Minister Shri Rajnath Singh speaking in a public programme alleged the state’s Congress government for hatching conspiracy to divert attention from its failures. “I think there is a political conspiracy to divert the attention from the failures of the Congress government here. I want to know why despite Centre extending all help, the economic blockade is still there,” the minister said. “I had told the state to sit for tripartite talks with the UNC and Centre to solve the problem. We have given the state enough central forces, but the state is not using those forces,” Singh said after the release of the party’s Vision Document for the Assembly elections next month. “The law and order is a state subject…. When the economic blockade began, I myself had called up him (Manipur CM Okram Ibobi Singh) several times and told him we will extend all help to lift the blockade,” Shri Singh said. “I want to reassure all of you here that the central government and BJP will never compromise with the territorial integrity with Manipur. In the framework agreement, even the name of Manipur is not there. So why are they spreading lies? They should pursue healthy politics,” Singh said. “If BJP come to power, we will ensure employment generation. BJP and good governance are synonymous,” he said, adding that intellectuals of the state would also have a say in providing good governance.